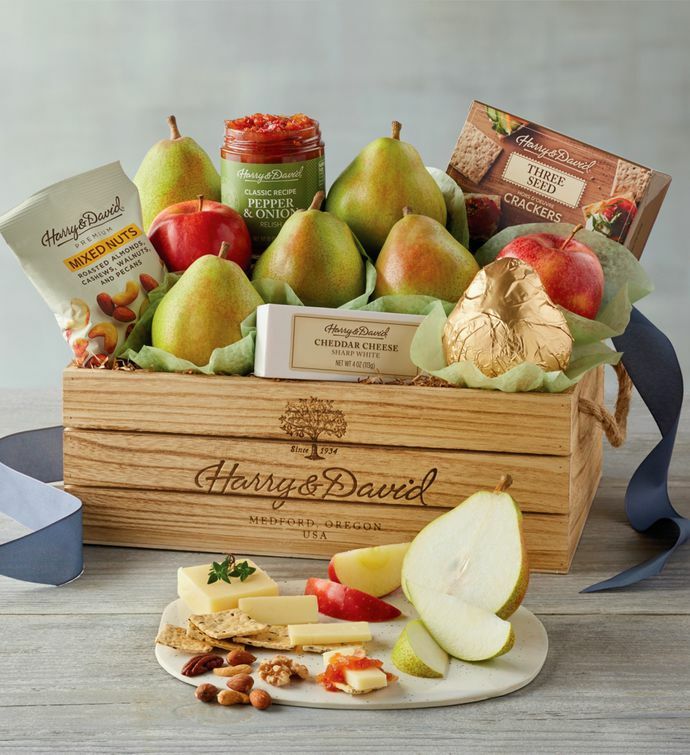 Share delight with a gift basket filled with sweet Royal Verano® Pears and complementary savory snacks. Fruit and cheese make a rich and satisfying flavor combination, which is why we've included sharp white cheddar cheese and mixed nuts to accentuate the flavor of our pears. Seasonal apples and our classic pepper and onion relish round out the assortment.